Leyendas.com is a show band that was formed in 2010 to present music that dates from the 1940s to today, and it has assembled a corps of artists of a sufficiently high caliber to make excellent recordings as well. In the live show, you'll find a mix of material made popular by the likes of Compay Segundo, Rafael Hernandez but also by Conjunto Rumbavana and Juan Pablo Torres (the Musical Director, Jorge Boulet, played a similar role in Rumbavana for several years, and you can hear that experience shine through in several of the arrangements, and many of the vocalists, some of whom have over 50 years of experience, and musicians have resumes that read like a who's who of Cuban popular music with some Jazz experience as well). 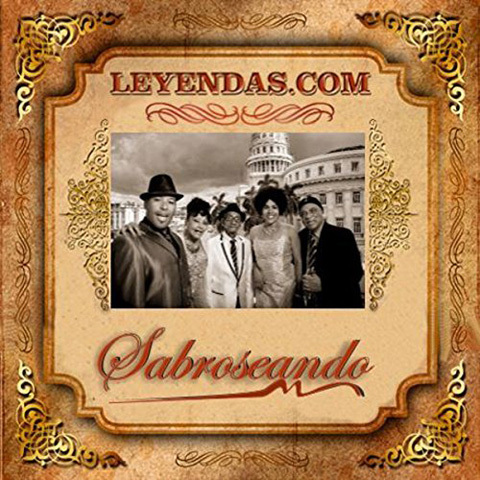 Since Leyendas.com incorporates a lot of showmanship and humor into its regular performances at the Hotel Nacional and in Varadero, a mere audio CD does not fully do justice to it. (You can see a photo gallery of one of their shows here, but even this does not do full justice to the performance). Nevertheless, the arrangements are first-rate and probably more faithful to the originals than many of the Buena Vista Social Club projects. Fans of groups such as Conjunto Rumbavana, Senen Suarez etc. will enjoy this album a lot. Sabroseando was nominated in the Traditional Popular Music (changed to Conjuntos & Other Formats) category in Cubadisco 2017.